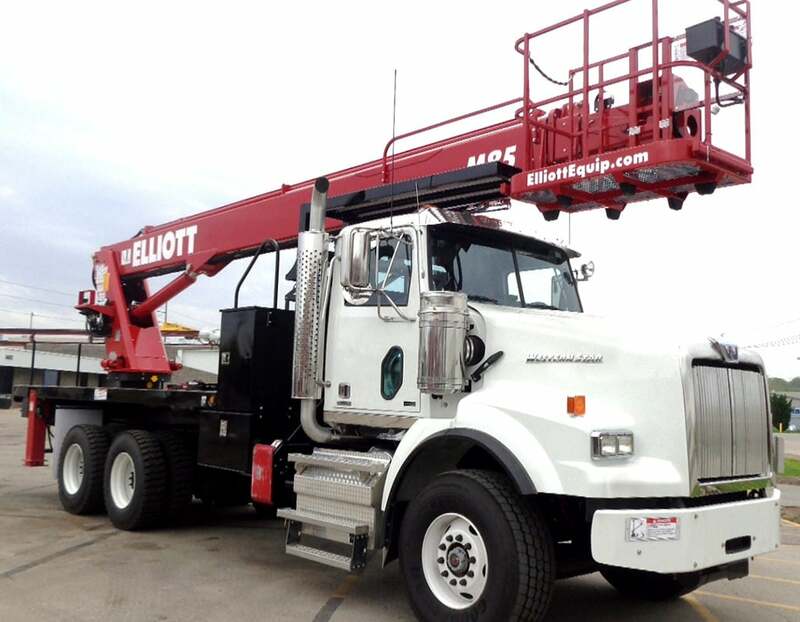 Whether you are maintaining equipment and facilities, scaling, fertilizing or drilling, Elliott’s HiReach makes your job easier and safer than ever before, thanks to the combination of a high-capacity multi-featured work platform and material handling capabilities on a single machine. 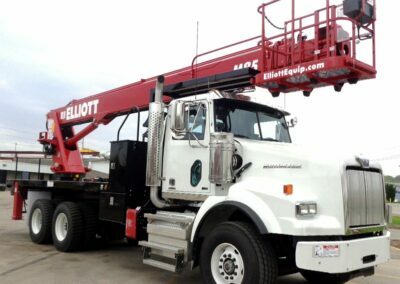 Plus, with Elliott’s ‘Office in the Sky’ accessory packages, all of your tools can be brought to the platform to make your job even faster. 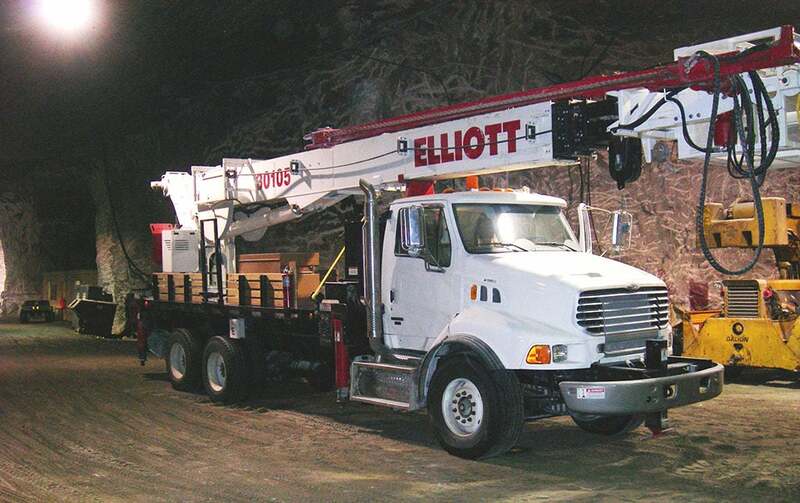 Elliott’s BoomTruck models are fully customizable with options such as wireless remote controls, detachable work platforms, LMI light bars and even hydraulic drills to ensure you have the right tool for the job. Widest selection of models available. Family-owned with over 65 years of industry experience. Dedicated to customer service—we listen and we care. Leading side reach in every class. 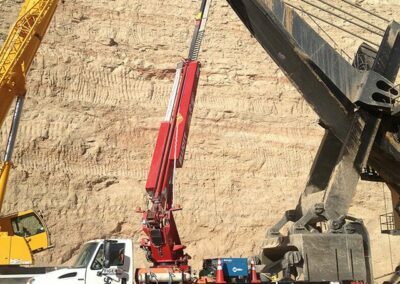 Telescopic HiReach booms are extended hydraulically without cables or chains for reduced maintenance. HiReach models are designed exclusively to ANSI A92.2 for improved safety. Full-length sub-frame for longer chassis life. Strongest turret to turret box connection for added safety (most turret bolts and widest diameter). 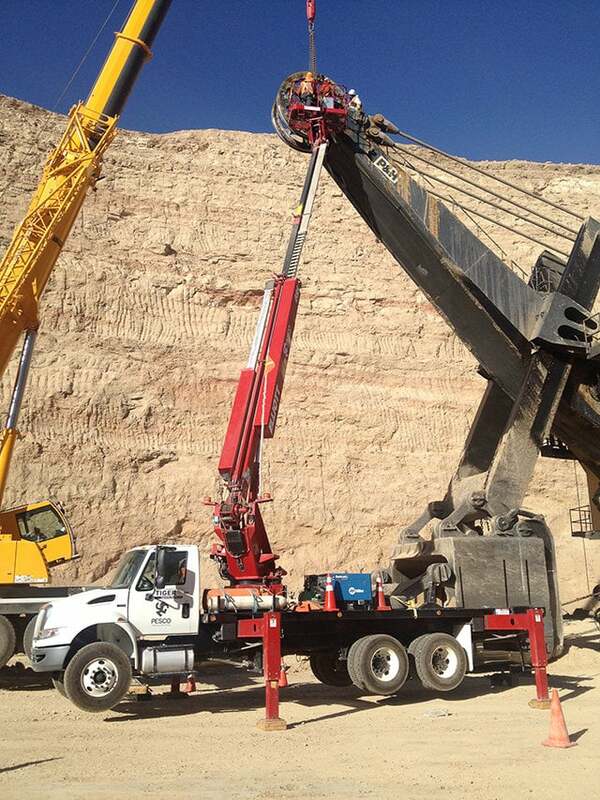 Ability to multitask – work platform / crane. Large work platform with open rails for increased work area. Oversized turret, bearing and subframe for exceptional stability and durability. Industry-leading side reach maximizes work in a single setup. Material handling on the boom and in the platform for utmost flexibility (HiReach). Oversized cable carrier lets you bring more tools to the work area (HiReach). Dynasmooth remote controls for a more precise and fluid ride. Full factory customization – turnkey solutions for your needs. Off-road long-stroke outriggers with excellent penetration for less cribbing. HiReach work platform options up to 96” wide and 1,000-lb. capacity. HiReach ‘Office in the Sky’ platform and accessories including welding, air, oxy/acetylene, 110V and ANFO lines. HiReach 5,900- to 14,000-lb. capacity material handling winch. HiReach 500- to 1,000-lb. platform-mounted jib winch. 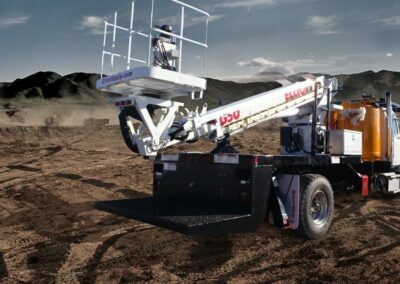 BoomTruck wireless remote controls and detachable work platforms. Severe duty packages for extreme temperatures and adverse work environments. 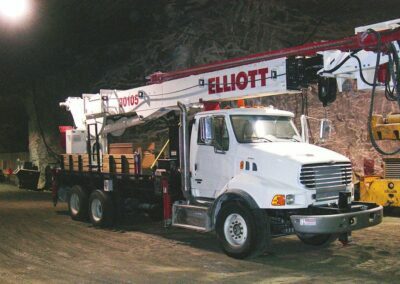 Chassis and crane reinforcement and severe duty packages.